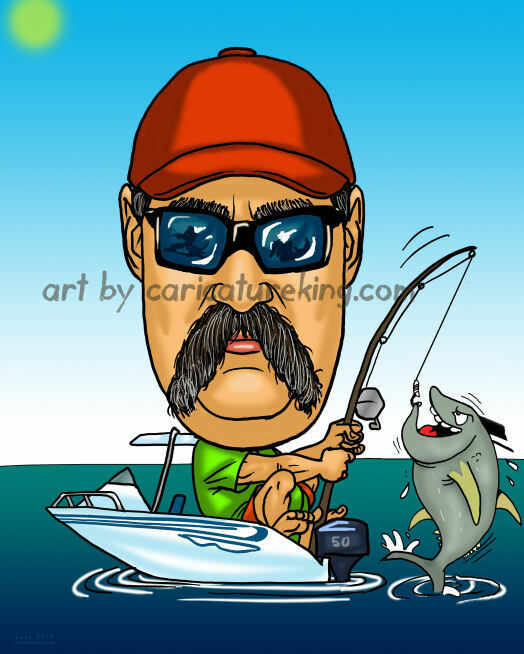 What could be better than a guy who is hooked on fishing getting a fishing themed birthday gift caricature! Created by caricature artist Luis, it captures the fun (and possibly danger!) of small boat offshore fishing and will look great as a 16×20 inch poster print.